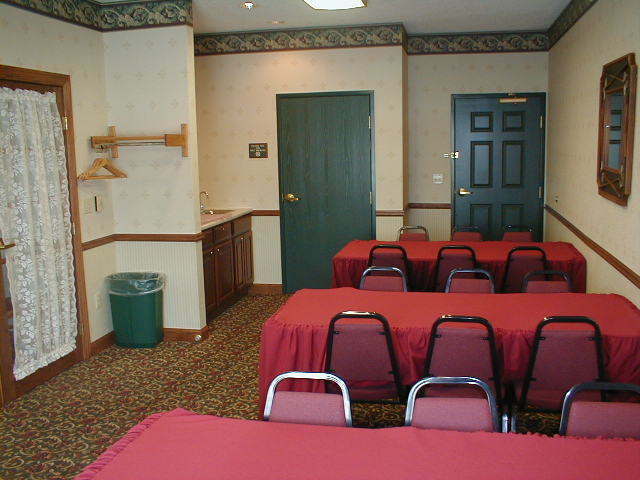 Whether you’re hosting a business meeting or a small social event, the Country Inn & Suites, Galesburg, IL offers a convenient conference room within minutes of Interstate 74, Highway 34 and Galesburg Municipal Airport (GBG). Invite up to 15 guests and enjoy on-site amenities like free Wi-Fi, audiovisual equipment rental and professional planning assistance. Contact our friendly, knowledgeable staff to find out about great room rates for groups.